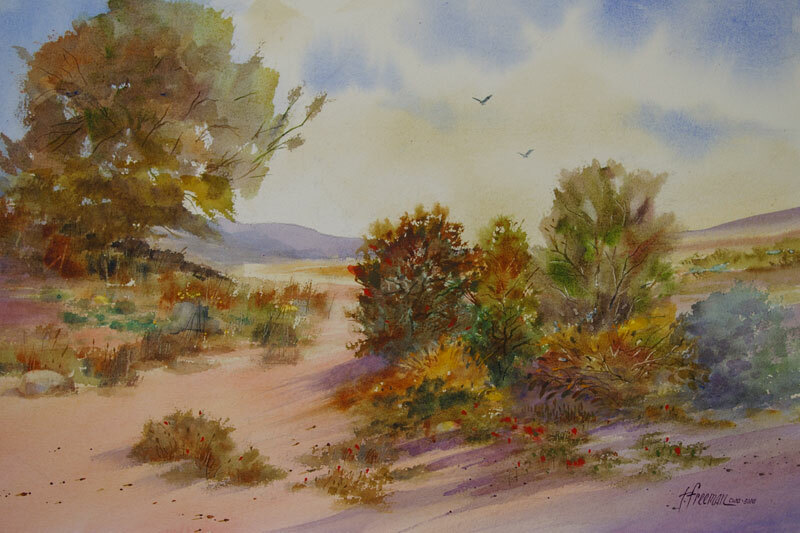 Thomas Freeman Original Watercolor Painting: "Somewhere Near Tucson"
I was out in the Arizona desert with a friend and took a quick photo that served as the inspiration for this painting. (Ironically, the painting ended up far different from the starting photo.) The Arizona desert has a beauty all its own - especially the cactus and low, scrub bushes.